The movie tie-in edition of Catching Fire is now available to pre-order on Amazon. The actual book itself bears no difference to any other edition of the novel, but it does come with a very cool front cover! The release dates are October 8th for the USA, and October 14th for the UK. 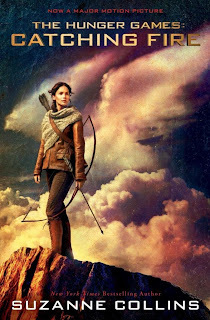 For those who haven't already, you can pre-order the 'Catching Fire: Official Illustrated Movie Companion'!